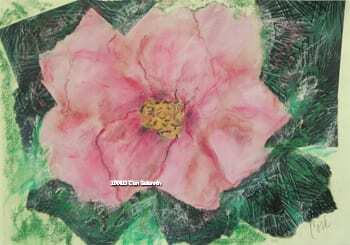 This collage of a rose was created using wrapping paper for the green leaves which are the background and a pastel drawing of a rose. Pastels were also applied to enhance the background. This artwork comes framed and matted.